Suspended twitter atheist troll @rosarubicondior appears to have been permanently suspended. 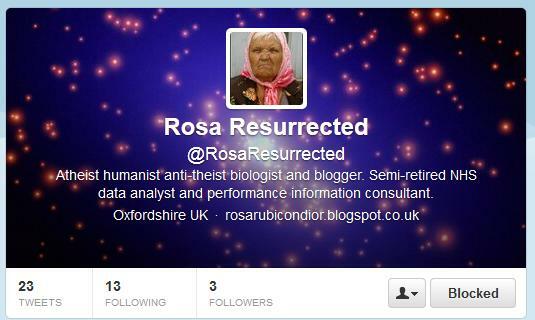 He created a new account @rosarresurrected just a few hours ago. Please report it to Twitter support.twitter.com/forms and click the spam report button. You're not supposed to make a new account while under suspension. He will use this account to harass, abuse, spam, impersonate and break copyright and trademark laws.